Republican presidential candidate Jon Huntsman got a bit of a gruff reception here Sunday when a goat nibbled on his knee outside an event at city hall. 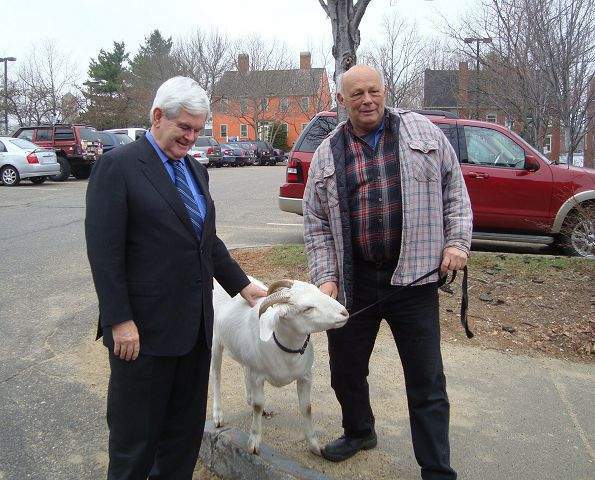 Izak was simply “taste-testing” Huntsman’s pants, goat owner Bill Higgins said. “You could say it was a friendly nibble,” said Higgins, of Dover. The bite didn’t injure Huntsman or even damage his pants, Higgins said, and the presidential contender took the entire thing in stride. 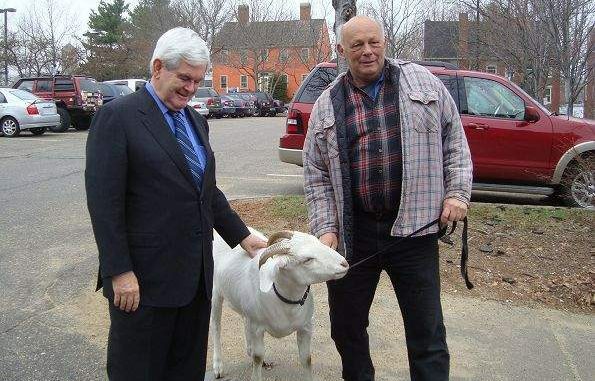 Izak is the successor to Binx, Higgins’s former goat, who was a common sight at campaign events for years. Binx met John McCain, John Edwards and Howard Dean and he was on a first-name basis with former President George H.W. Bush, who saw him at fairs near his home in Kennebunkport, Maine. Binx died in January 2010. Higgins got Izak 16 months ago. In that time, Izak has slowly dipped his foot into the political waters, though he may need to take a course on manners. “He hasn’t really figured out the campaigning thing yet, but he’s working on it with my help,” Higgins said. Is Ludacris Palling Around With Russell Crowe?